your needs are the same – proven solutions from a partner you can depend on. 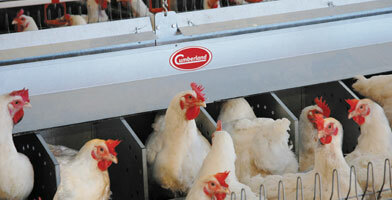 ventilation, cooling, heating, feeding and watering systems. Whether you are a farmer, a commercial grain operator or a contractor, your needs are the same – proven silos and grain handling solutions from a partner you can depend on. Increase your productivity and profitability with industry – leading solutions from GSI. Our local partners and the quality of our products are only matched by our commitment to stand behind them. 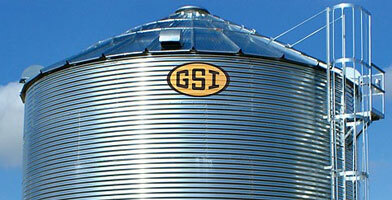 GSI offers experience and local knowledge in silos and grain handling installation, helping you achieve a storage solution matched to your enterprise and constructed in accordance with GSI quality, local regulations and industry best practice. Odds are that you have AP equipment at work on your swine operation right now. 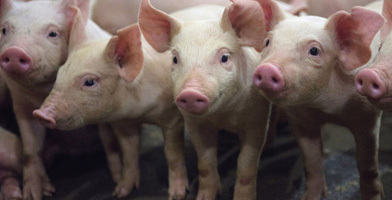 For over 20 years, we’ve been producing hard-working, reliable equipment that has helped you and other hog operations produce millions of pounds of pork. Cumberland has the resources you need to help plan the perfect poultry solution, as well as everything you need to keep your Cumberland products running efficiently and safely. Charles has two 2,500 ton GSI 40 series grain silos, constructed by Keoghs. He runs a massive operation, breeding and fattening about 40,000 pigs per year for sale into the pork market. Each week the pigs consume 250 tons of grain, hence the need for extensive storage. Charles grows most of his own grain, purchasing the rest from local growers straight off the header. He says having a large storage capability allows him to purchase high volumes of grain early in the season when prices are more favourable. Enter your details and a sales and technical specialist will contact you to discuss solutions for your business. in agriculture, manufacturing and technology.